The Life Is Beautiful 2019 lineup is out! See the lineup poster farther below for a complete listing. Chance The Rapper, The BLack Keys and Post Malone headline! Billie Ellish, Vampire Weekend, Zedd, Lil Wayne, Portugal. The Man, Rüfüs Du Sol and Janelle Monáe also top the lineup! 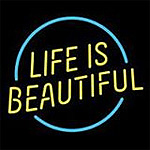 Life Is Beautiful tickets are on sale this week! Check out the ticket section below for details. 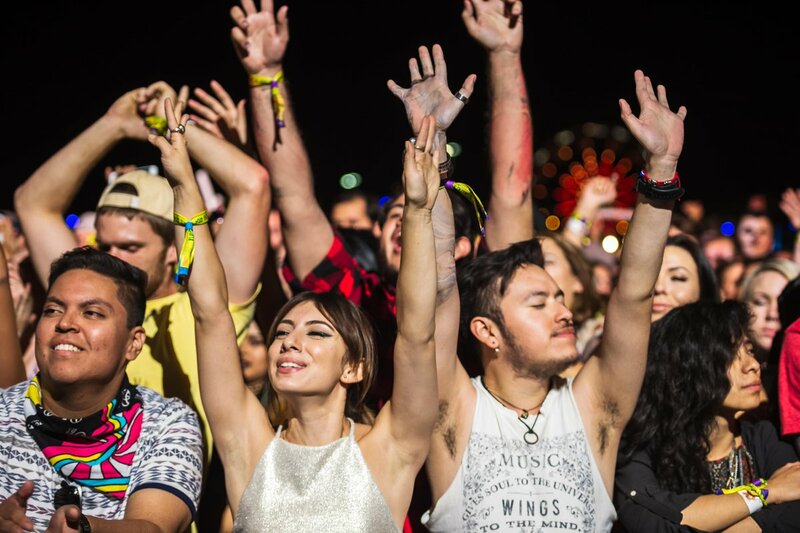 Set in downtown Las Vegas, Nevada, Life Is Beautiful Festival 2019 features a lineup of electronic music, indie rock, hip hop and pop music for a late September get down. It has the best music, art and food. The Life Is Beautiful Festival dates are Sept. 20 - 22, 2019. These are the official and confirmed dates. 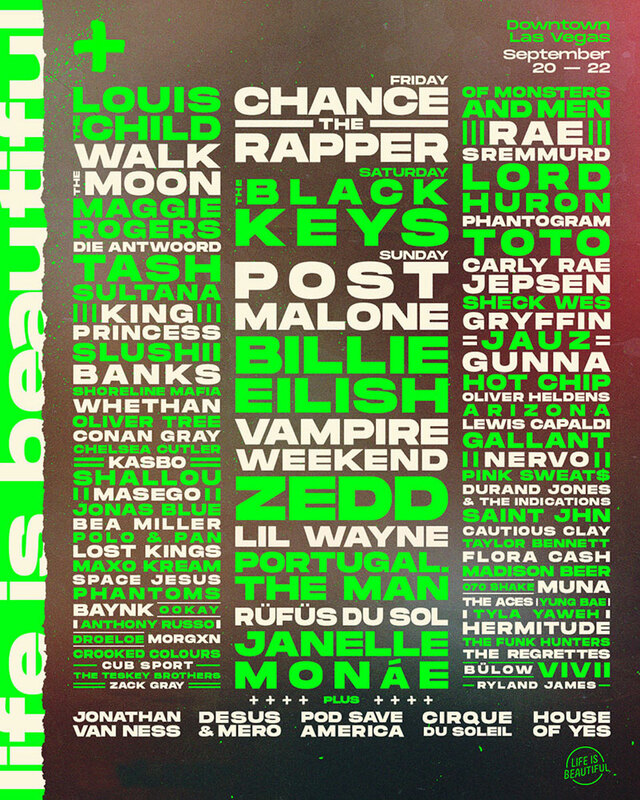 The Life Is Beautiful 2019 lineup and Life is Beautiful Festival 2019 tickets are below! Life is Beautiful Festival tickets are not on sale. Tickets go back on sale Thursday, Apr. 25 at 10:00 AM PST. General Admission and VIP tickets will be available. Check back for updates and access to tickets! The Life is Beautiful Festival lineup for 2019! Who do you want to see in the Life Is Beautiful lineup?